Alpine Communications’ story begins with a pioneering spirit, and grew with Midwestern values like hard work, tenacity, innovation and being a trusted neighbor. In 1996, U S West, one of seven Regional Bell Operating Companies in the United States, decided to sell off rural telephone exchanges which were expensive to operate, required infrastructure upgrades, but not enough return on this investment. Fifteen independent telephone companies and private investors saw opportunity, potential, and promise in the contiguous area of telephone properties in Iowa. From this group of telecommunications pioneers, Alpine Communications was born. This spirit has been undeniably woven into the fabric of the independent communications provider to this day. 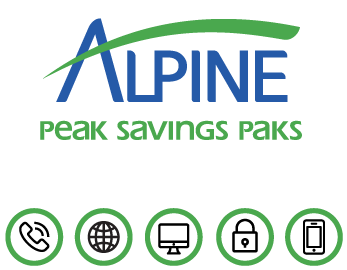 Slowly yet steadily, Alpine Communications began to grow as communications provider. In 1997, the small team upgraded its switch, equipment and service offerings to further serve Clayton and Fayette counties. Once an all-copper plant, Alpine began broadening its services to stay ahead of communications and technology needs. They added digital voice services, dial-up internet and launched the first high speed internet service in the early 2000s, a cascading rollout throughout Northeastern Iowa. Alpine Communications welcomed Chris Hopp as general manager in 2004, a role that he’s embraced enthusiastically since day one. One of Chris’s first initiatives was to lead the transition to move all corporate functions and management positions from the Des Moines office to Elkader, Iowa, a strategy he embraced because it allowed for an enhanced customer service experience. The community- and service-focused culture that Alpine Communications has today is a result of their commitment to connect. In 2007, Chris wanted to fulfill one of his big initiatives of bringing more technology to rural customers. He led a revolutionary project that would change how their customers connected; Alpine Communications started upgrading the network to fiber-optics. By mid-2007, the communications organization created the Fusion Network, and became the first company in Iowa to be certified by the Fiber to the Home Council and receive the fiber-connected badge. By early 2008, the first Fusion Network customer was activated. Alpine Communications has continued to invest in fiber-optics by spending over $13 million from 2007-2017. Because of this investment, all communities served by the Fusion Network are Gig-Certified by NTCA – The Rural Broadband Association, a distinction only for companies who can provide Gigabit Internet to their customers. Every person who works at Alpine Communications has a big heart, and it shows, from the technicians who exhibit tenacity, to the friendly and sharply knowledgeable ladies in customer service who are enthusiastic to help customers on the phone and in the office. In the heart of the Midwest, Northeastern Iowa is hit with its share of natural disasters – extreme storms, tornados and floods. It’s during these times, where technology is disrupted or disconnected, that Alpine Communications really shines. The team comes together in these times of need to work long hours, sometimes overnight, to get communication back up and running. In just the past few years, the area has experienced rough weather where the staff dropped what they were doing, opened up its office and worked until the job was done because customers come first. Alpine Communications believes that connected communities are thriving communities. In a way, Alpine Communications still aligns perfectly to its humble beginnings. It’s a company that could have been forgotten years ago. Yet, it has overcome, and has thrived, bringing greater connection to its community and its customers. Alpine provides telecommunications, high speed Internet, and monitored security services to the Clayton and Fayette County Iowa exchanges of Elgin, Elkader, Garber, Garnavillo, Guttenberg, Marquette and McGregor. Alpine Communications is locally owned and operated with roots in some of the earliest communications technologies in Iowa and the Midwest. The 100% fiber optic Fusion Network is available in Guttenberg, Elkader, Elgin, Garnavillo, Marquette, and McGregor. The Fusion Network is the first fiber optic network in Iowa certified by the FTTH Council. Alpine Communications has been recognized by NTCA–The Rural Broadband Association as a Certified Gig-Capable Provider for delivering gigabit broadband speeds and enabling technological innovation. "Reliable, uninterrupted service. Excellent picture quality."